Dogs Playing Pool is a classic. For years this has been the most indentifying art associated with pool and billiards. 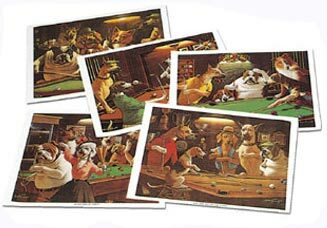 Add a touch of class and history to your game room with your own Dogs Playing Pool poster set.